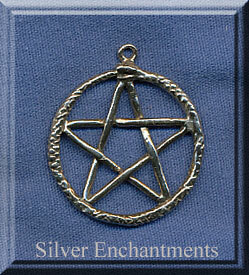 Overall Size: 23mm x 20mm = ~7/8" x 3/4+"
The ouroboros has several meanings interwoven into it. Foremost is the symbolism of the serpent devouring its own tail -- This symbolizes the cyclic Nature of the Universe: creation out of destruction, Life out of Death. The ouroboros eats its own tail to sustain its life, in an eternal cycle of renewal. 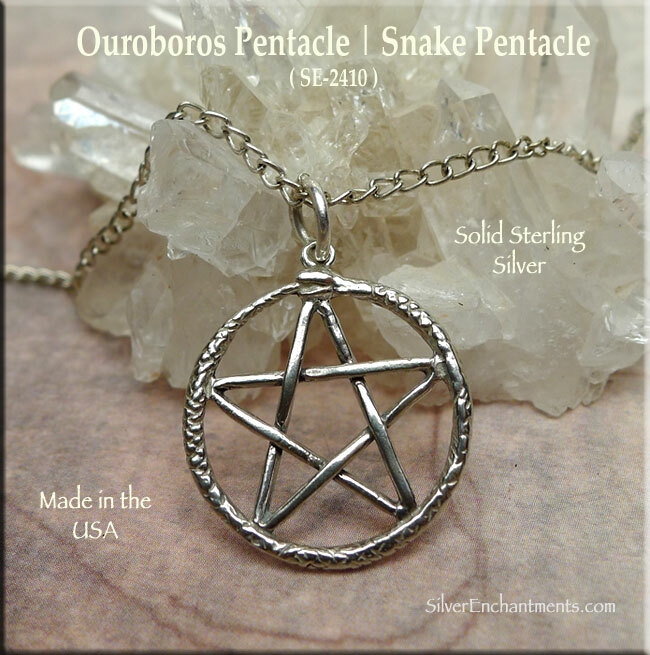 > You can Customize this item into a Ouroboros Pentacle Necklace -- Choose from : Charm-Pendant Only, or on a Sterling Silver Necklace Chain (see last picture for current chain style). 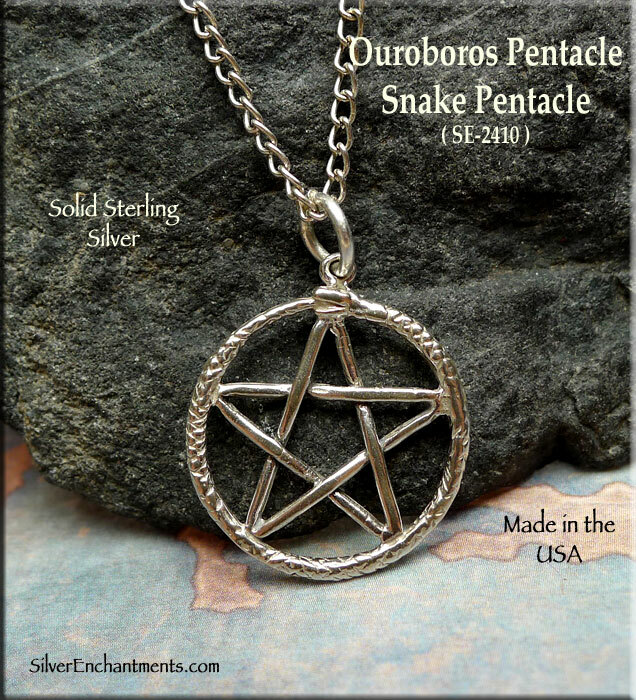 When selecting on a SS Chain, your Solid Sterling Silver Ouroboros Pentagram Necklace will come Boxed. 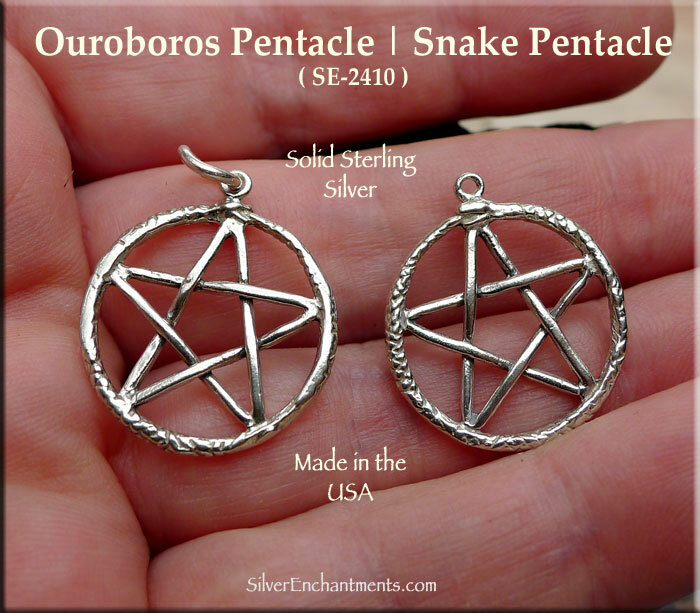 > Sterling Silver Snake Pentacle Earrings are Also Available.